Reverb. This subtle effect can have a massive impact on the sound quality of your tracks. Reverb allows you to determine the environment of the sound and its distance. This effect can be applied to vocals, instruments and drum sounds. The way it works is by reflecting the sound. Space is then defined by reverb time. The time it takes for the sound once it is made, to be reflected and decay. A good way to learn about reverb and reverb time is by standing in a small room and clapping your hands one time. Then go to a larger, more open space and doing the same thing. You will hear a large difference. 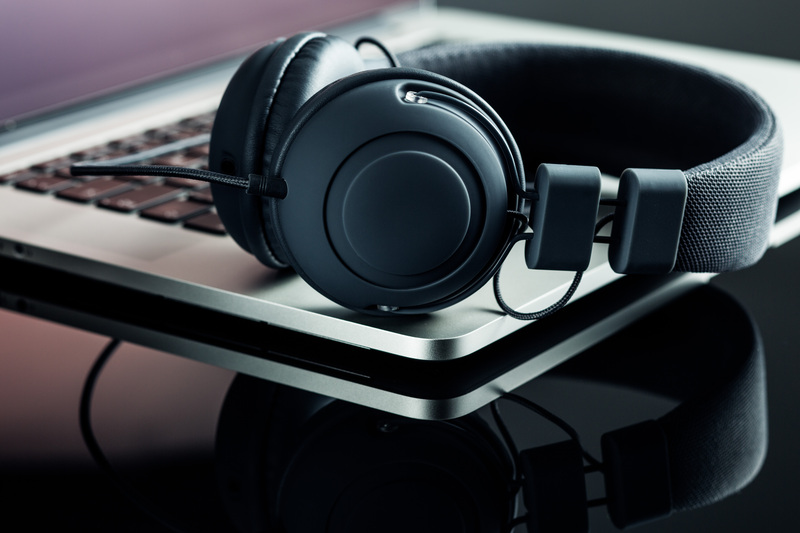 This can mean the difference between a sound that is directly in front of you such as a lead vocal, or a sound that is further away, such as backing vocals. To get you started, or to help expand your options, exploring the vast world of reverb, we have put together a list of the hottest free reverb plugins. Dead Duck makes some great plugins that are light on CPU usage, simple yet realistic rack style interfaces, and some of the best functionality you could ask for in a free plugin. The Dead Duck Reverb is an efficient algorithmic reverb with pre-delay and input filtering. Dead Duck Reverb is available for Windows 32 and 64 bit. VST. Download HERE. The Sanford Reverb plugin is capable of simulating many different spaces and it does it extremely well. It offers features such as pre-delay, time and damp controls, MIDI learn, modulation for emulating cavernous spaces and a pair of filters for tone control. There are 20 presets included such as the standard large room, small room, large hall as well as a few experimental styled. The Sanford Reverb plugin is available for Windows 32 and 64 bit. VST. Download HERE. 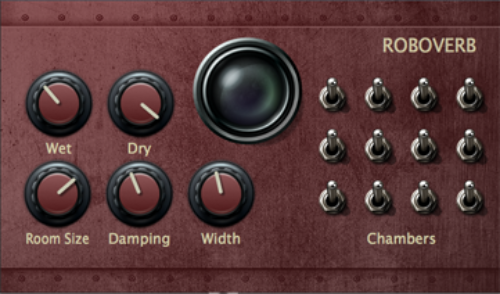 TAL-Reverb-4 is a high-quality vintage reverb. Only stereo channels are supported, however, it works on almost any type of audio material. It offers a modulated vintage reverb sound, fast build-up time with long reverb sounds. TAL Reverb 4 is available for Windows 32 and 64 bit. Mac OSX VST and Mac AU. Download HERE. The GlaceVerb Reverb is a VST plugin with a Residual Vector Modulation (RVM) reverberation algorithm simulating the vibrations of the surface when hit by sound waves. GlaceVerb can also model liquid acoustic spaces like water. Unlike other reverbs with presets named Room, Cathedral, Stadium etc., GlaceVerb comes with 64 presets designed for real musical situations (including presets for final mix, strings, piano, vocal tracks, drums, percussion and ultra transparent presets for mastering). GlaceVerb is available for Windows 32 bit. VST. Download HERE. DX Reverb Light allows you to simulate anything from small rooms with sudden attacks and coloration characteristics to large natural-sounding spaces with the spread attack of a concert hall. The light version is free and is fully functional. If you want to explore more there is a paid version that will give you more flexibility and control. DX Reverb Light is available for Windows 32 and 64 bit VST. MacOSX 64 bit. AU. Download HERE. Not only is this a great go-to for easy to use and dial in reverb, RoboVerb offers a little more in terms of outside of the box. Very fun to experiment with and almost always leads to amazing sounds you didn't intend on. There is a free and paid version. There is no difference, just merely a way to donate and support the developer. RoboVerb is available for Windows 32 bit, VST. Mac OSX 64 bit. AU. VST3. Download HERE. Gigaverb is straight forward reverb. By far the easiest to use. With subtle knob turns you can create the environment you want without any limitations or drawbacks. Very CPU friendly and operates in any VST host. Gigaverb is available for Windows 32 and 64 bit. VST2. VST3. Download HERE. Abstract Chamber is a modulation reverb that is designed for longer modulated reverb while maintaining a natural yet abstract spatial impression. This is another option for both a good go-to reverb and for experimental use. Abstract Chamber is available for Windows 32 and 64 bit. VST. Download HERE. Abletunes Knobs offers a 3 in 1. For reverb the “space” knobs offers mid-sized room reverb (stereo). It is pretty bright, and while it can be adjusted to create a sound that is between a large room and small hall it is perfect for when you just need subtle reverb adjustments. It works well on almost anything, from percussion to synths and acoustic guitars. 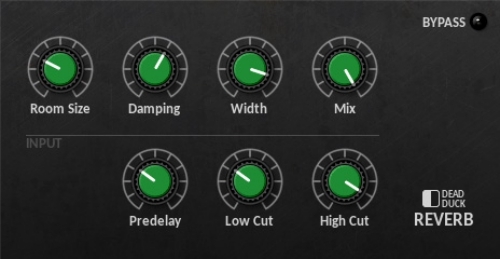 Abletunes Knobs are available for all major DAWs. Windows 32 and 64-bit. VST. Mac OSX 32 and 64-bit. VST and AU. Download HERE. This is the big one guys. I have saved the best for last. 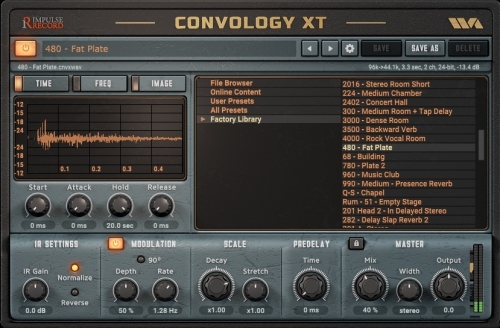 Convology XT is an impulse response convolution reverb. It has everything you’d expect from a world class plugin, zero latency, scale functions of stretch and decay, EQ, pre-delay, stereo 3D chorusing, stereo width from mono to "outside your speakers", reverse and more. The included presets and impulse responses were sampled from actual vintage gear. It does eat up more CPU, but when you consider it's functionality, it is worth it. Convology XT is available for Windows 64 bit. VST. Mac OSX. VST. AU. Download HERE. And there you have it. Some great free options to explore and expand the possibilities of reverb. Give your sounds some depth, space, and distance. Don't forget to come back and let us know which ones you tried and if you liked it by posting in the comments section below.